In our ongoing series, New Horizons, we look at cool cruising destinations that are maybe a little less known, but plenty interesting. 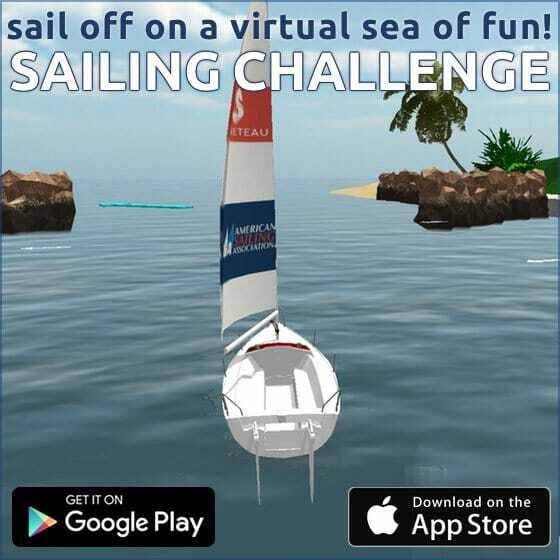 With over half a million sailors who have taken ASA classes and over 300 affiliates worldwide, we’re looking to tap into resources that have the lowdown on places we know not… yet! 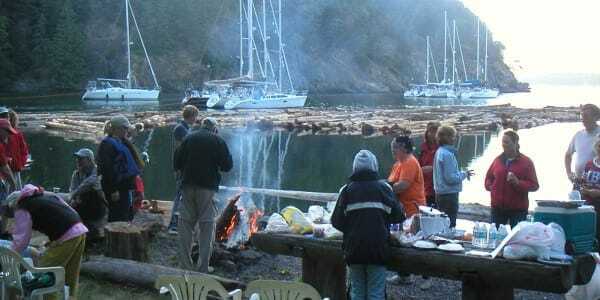 Made up of over a dozen large islands along with hundreds of smaller islets, the Gulf Islands form a special paradise. 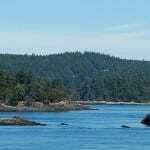 The six major islands that make up this region are Gabriola, Saltspring, Galiano, Pender, Mayne and Saturna. Each has its own charm and character. 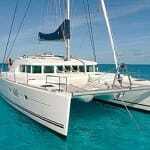 Boaters will find excellent facilities and marinas on the larger islands. From lush green forests, miles of beaches teeming with intertidal marine life, rolling meadows to rocky shorelines, these unspoiled islands are off the main tourist path and substantially undeveloped. They contain numerous Provincial and National Marine Parks that often offer protected anchorages and inexpensive mooring facilities. These reserves include land and marine areas on fifteen islands and numerous islets and reefs that provide habitat for seals and nesting shorebirds. 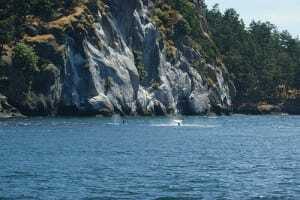 In addition, you will likely see bald eagles, dolphins and perhaps orca. Island ambience is friendly and very informal, with jeans appropriate for any event. 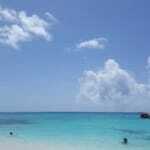 Tides and currents add interest to navigating these islands. Typically, the cruiser will consult the tide and current charts daily in planning a route that takes advantage of favorable currents while transiting passes at slack water. Some passes between islands can register tidal currents over 8 knots, which make them impracticable for sailboats except at slack water. You will see boats loitering on both sides of a pass awaiting slack. Just before that time, the current-favored boats will begin to pass through the narrows, followed just after slack by the newly favored boats. When anchoring, boaters must be aware of the 16+ foot (5 m) tidal range here, so as not to find themselves aground in the middle of the night. Anchoring is easy and good; sheltered anchorages are plentiful. A 4:1 scope is generally sufficient unless unusually stormy weather is expected, which is rare in summer. A typical cruise might begin in Bellingham, WA where several excellent charter operations are based. 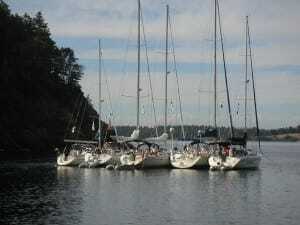 Charters are also available in Sidney on Vancouver Island and Vancouver on the mainland, though from Vancouver you must cross the Strait of Georgia to reach the islands. 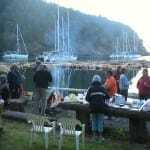 From Bellingham, it is a 30 nm cruise to Poets Cove in Bedwell Harbour on South Pender Island, where you will clear Canada customs. Poet’s Cove is home to a world-class resort and excellent marina and is immediately adjacent to the Beaumont Marine Park, which offers moorings and anchorage. Mink and river otters can be seen in the surrounding waters. Watch for surf scoters and harlequin ducks while you explore the sandstone formations of the shoreline by foot or dinghy. Drop a crab trap and enjoy fresh Dungeness for dinner! 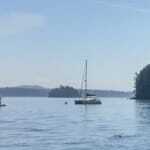 On the following day sail up the Swanson Channel to Montague Harbour on Galiano Island, with a lunch stop at Ganges on Saltspring Island. Ganges is the largest town in the islands and is the hub of the very active artistic and crafts communities on Saltspring. Dock at the Ganges Marina and walk into town to one of several informal restaurants there. Later, sail over to Montague and pick up a mooring in the Provincial Park. This spectacular harbor boasts a lovely sand beach, a small marina, and wetlands teeming with wildlife. Explore the park by dinghy and foot. 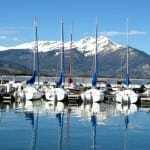 In the evening, dinghy to the marina and perhaps take a shuttle up the hill to the Hummingbird Inn for Canadian cheer and dinner on the lawn. Next morning, dinghy over to the Sea Blush Café for morning coffee and fresh baked Danish. Enjoy your coffee on the café’s deck overlooking boats resting peacefully in dappled water. 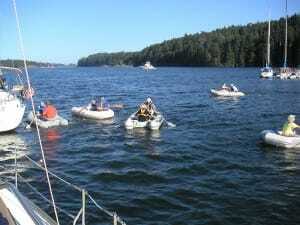 Next, your cruise may take you up the Trincomali Channel to Thetis Island. The 300 or so permanent residents welcome visitors to experience diverse recreational opportunities, including scuba diving, fishing, swimming, and kayaking. On land, golf, bird watching, and hiking can be enjoyed. There are two marinas: Thetis Island Marina will roast a whole pig for your party on their outdoor grill, while Telegraph Harbor has killer ice cream and sundaes to die for. Adjacent Kuper Island belongs to the Penelakut First Nations tribe, and great clamming is available off its north end. Turning south via Stewart Channel, plan for a favorable current as you beat down the Sansum Narrows and head to Saturna Island. Drop your hook there in Winter Cove, a perfect round protected harbor. Dinghy over to the Provincial Park and walk through the shoreline pines and firs out to Boat Passage. There you can watch the tide surging in from the vast Strait of Georgia through this narrow gap between islands. 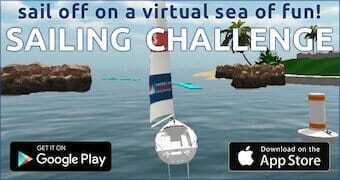 With a little courage, you might attempt to shoot these rapids in your dinghy! Homeward bound, spend a night anchored off Sidney Spit at yet another Provincial Park. This natural sand spit extends for nearly a mile off the north end of Sidney Island, and offers a protected anchorage. Don’t be alarmed if your depth sounder shows 3 feet of water. Kelp there will give a false reading, but the sight of other deep-keeled vessels safely anchored will reassure you. Heading back to base, clear US Customs at Roche Harbor on San Juan Island. Cross the San Juans, and you will typically experience a lovely beam reach through Bellingham Bay, while remembering your experience of the myriad unspoiled Gulf Islands with their many delights. 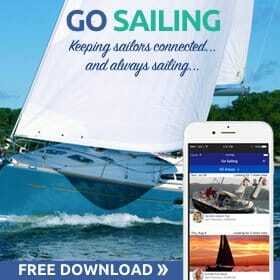 Roger Philips is a USCG licensed captain and ASA certified sailing instructor. 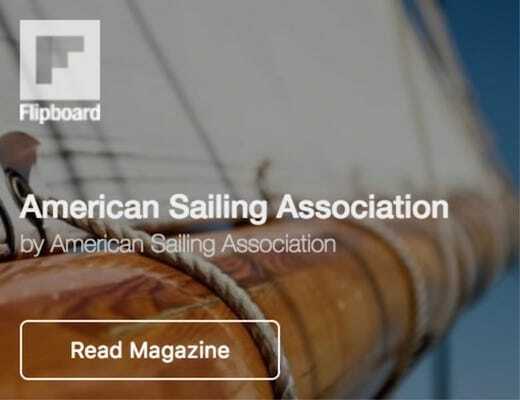 He teaches at the Newport Beach Sailing School and was named ASA Outstanding Instructor of the Year in 2008 and 2009. He leads ASA flotillas in the Pacific Northwest and Southern California.